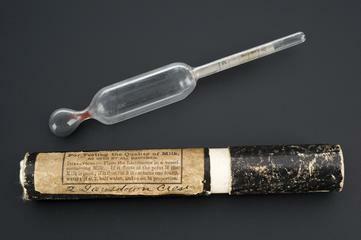 Glass hydrometer with mercury, in cardboard case, by Hughes, 379 Oxford Street, London, England. 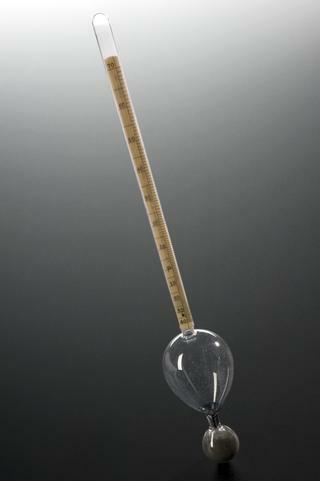 Glass and mercury hydrometer, with case, made by Thomas O. Blake, 58 Hatton Garden, London, EC, England, 1830-1920. Hydrometer, cased, by Brewer Freres, 43 rue St. Andre-des-Arts, Paris, France.